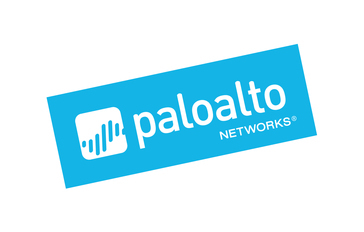 Work for Palo Alto Networks GlobalProtect? Learning about Palo Alto Networks GlobalProtect? "Great connection and easy to use"
I love that this software allows me to connect to seamlessly. I really have not had any issues with it since beginning to use it. I can connect to my work network from home and I never have issues with it disconnecting at random or messing my work up. I really like how seamless it is and how easy it makes it to connect. There really is not anything I dislike. It is so easy to use and usually works properly. I really would recommend this product. It is so easy to use and I never have connection issues. It really makes my job easier on a daily basis. I have worked with prior employers with different remote login connections and this is by far the best one I've used. The others I have used have had connectivity issues and have disconnected and made me lose much of my work. This product really is something that makes my job easier on a regular basis. I am able to hop on my computer from home and finish a project that I otherwise would have had to stay at the office to work on. I love the flexibility of being able to rely on it to complete my work, whether at home, or out of town. Ease of use and configuration. Management does not require regular changes or tweaking. Once the software is installed, the configuration doesn't need input every time and just connects in 2 clicks. Software cannot be turned off. It can be disconnected, but if it is installed it will always be on waiting to connect. Not a problem for most users, but for some it can be an annoyance for some users. Great product and very easy to use and install. Highly recommend the PA-500 and PA-220 as firewalls that allow us to connect with GlobalProtect. Licensing includes clients for PC, but not for mobile devices. Using the iOS Global Protect app requires additional licensing, but you can just put the VPN settings into the iOS default VPN settings without the app and ti works just as well. Global protect allows us to configure remote users with VPN access to connect into our environment from anywhere with internet access. What Mobile Data Security solution do you use? "Simple, Effective Connection Outside the Office"
Before moving to GlobalProtect our process of connecting to the network outside the office was a pain. This caused tons of heartache and prevented any desire to want to work outside the office. We had a token system in place and it didn't always work the way you wanted it to. GlobalProtect has made the connection process much simpler and smoother. Once you've opened up the application it is easy because all the necessary info is populated so I just click connect, well, one time it wasn't and I had no idea how to find the info and had to reach out to IT. GlobalProtect has allowed me to work as it fits my schedule from outside the office. As a manager this is important. "Easy and simple VPN software"
GP runs quietly in your background and it never get crashes. It has a pretty simple user interface for end user. I am not aware of the admin interface. The only problem I've noticed it it sometimes gets auto-disconnected. For my office network it's working fine but whenever I tried to connect to my customer VPN it does not get connected on Auto-discovery mode. Make sure you do trial runs in different geographies as this might be something you want to test first. When you do testing make sure the firewalls and real time scenarios are all covered. And of course does it work with some other vpn client already installed or not. Connecting to customer VPN and working with them remotely. "A wonderful product that can do so much"
Palo Alto firewalls are hands down, the best layer 7 firewalls on the market. Their number of signatures and supported services grow every day. In addition to the capabilities of the firewall, management of the firewall is a breeze either via the built-in GUI or PANORAMA. I believe the only complaint I have is that you cannot do an import from the device once you start managing it via PANORAMA. At times, it may be necessary to do a change local to a firewall and re-importing that device to PANORAMA is a pain. You can't go wrong with the Palo Alto, but you can with just about every other firewall on the market. As stated before, this is hands down the best layer 7 firewall on the market. As an MSSP, we have been able to offer our customers so much more granular control over what applications are allowed through their network, and not just by port number or basic filtering. These firewalls can even look inside SSH traffic and allow normal SSH connections but block SSH tunneling. "Seamless VPN rollout for enterprise"
It knows whether to route the traffic via the VPN tunnel or not. This helps minimize impact to users. Give it a good evaluation because we have had such a positive response from our employees. Many sites were locked down -- this now allows us to validate internet traffic accurately without negative impacts on our users. Basic Global Protect comes free with the base Palo package, which is pretty nice for a full featured VPN solution. Easy to configure a basic VPN connection and use policies to restrict user access. It was a little bit of a pain to get configured with two factor and security certificates, but support is always helpful and willing to walk through solutions. Give it a try - set up some rules to restrict access to internal resources and it's easy to use. A free (with Palo purchase), vendor supported VPN solution that is easy to roll out and simple for users to operate. "Full featured VPN solution with Palo Alto Functionality"
The gain all functionality, you must purchase a subscription. It should really just be all part of the system. This is a great solution, but Palo Alto Firewalls are expensive. (GP is a free function, but extra bells and whistles cost more). Connectivity for remote users as well as our visiting Nurse clinicians. This replaced Cisco 3030 concentrator which had extremely limited logging. GlobalConnect is extremely easy to use. There’s not a lot of options to confuse users so it can be used by anyone whenever necessary to have a VPN. I really wish there were more configuration options. The interface is nice and easy to use, but there aren’t many options to configure it specifically to users needs and wants. Test it out and see if it works in your environment before committing. We’re using GlobalProtect to connect to our demo environment and keep it separated from our production environment. It’s nice to have a demo environment to test configuration changes without affecting the production network and causing unnecessary downtime. "Quick and Easy VPN for Business "
Easy to connect, runs very quietly in the background. I haven't noticed any significant loss of speed while accessing files remotely vs some other systems i've used. Have had a update kick out my login information, not overly intuitive to find the correct account information to log back in. Great solution for a set-and-forget VPN, great for users that may be less technical. Straight forward VPN usage, primarily for accessing files from the internal sever for sales activities while on the road. Used to also be tied out our old CRM, but no longer an issue there after we migrated to a web-based service. There is nothing that I do not like about this software. It seems to do a great job protecting our computers, it is very secure and blocks a lot of things from the students computers as well. A good remote users conection service, if you have different GP peers published inI nternet, you're connected dynamically to the best peer. "Global protect as Primary VPN client"
Lightweight client, works well with MFA (easily implemented), provides good insight through logging. VPN from outside to inside and the req. for MFA were both met with GP. Additionally, it was a cost saver for us as we could decomm our old VPN solution and use GP as it was part of our licensing scheme when we purchased our Palo Hardware. As an end user of this client it's simplicity is the best part. Add the easy access to connection details and troubleshooting info and this client is a win. Some prompting for 2 factor auth can be a bit confusing, however the wording of this may be configurable by an admin (not sure). We use GlobalProtect for VPN access to our corporate network. This allows us to securely work remotely. * We monitor all Palo Alto Networks GlobalProtect reviews to prevent fraudulent reviews and keep review quality high. We do not post reviews by company employees or direct competitors. Validated reviews require the user to submit a screenshot of the product containing their user ID, in order to verify a user is an actual user of the product. Hi there! Are you looking to implement a solution like Palo Alto Networks GlobalProtect?